on its journey straight through life. but had to return, of course. drenched all with its condescending rays. and what was he up to? linking the crown of the Virgin on the world. just as the moonlight appeared through the window. and then passing by so free. which a fool will find so grand? in the place our faces find? ... and never a question ever answered. into the dark, the hungry. from their midst shrewd and experienced. disappearing along the edge of my mind I saw you go. a face more beautiful than that I never saw. up the slope where athletes groan. what will be there for you to read? which torments me so tonight. 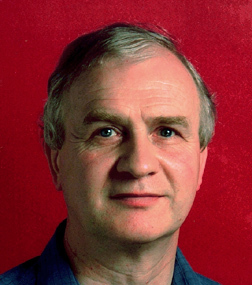 Dáithí Ó hÓgáin is associate professor of Irish Folklore at University College Dublin and one of Irelands leading writers. Born in Bruff, Co Limerick, he is the author of six poetry collections, three collections of short stories, eight research books and numerous articles on literature, folklore, history and lexicography, writing in both English and Irish. He has lectured and read poetry throughout Ireland and Europe. In 1987 he played a leading role in the drafting of the Unesco recommendations on the safeguarding of world folklore and in 1994 was co-founder of the European Centre for Traditional Culture in Budapest. 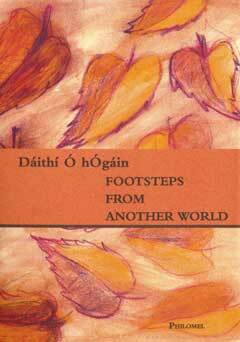 His poetry draws on his extensive knowledge of Irish literary and folk tradition and is both mystical and realistic.